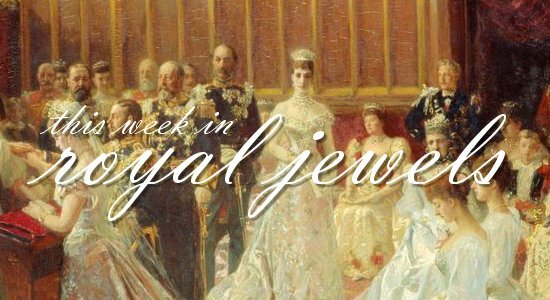 It's been a week full of glittering jewels, including a trio of tiaras! Don't forget to vote for your favorites in the poll below! 15. 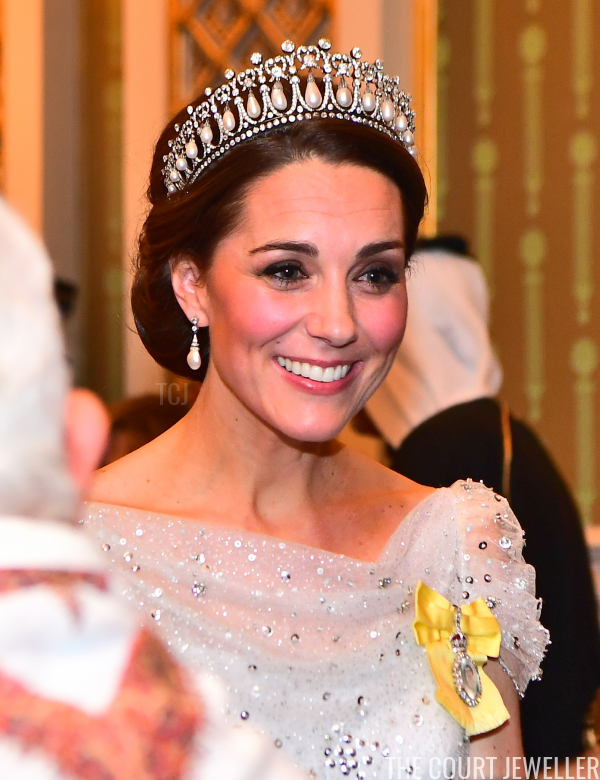 On Tuesday, the Duchess of Cambridge wore her Empress Mini Earrings from Mappin and Webb for a Christmas party at Kensington Palace for the families of deployed personnel serving in Cyprus. 14. 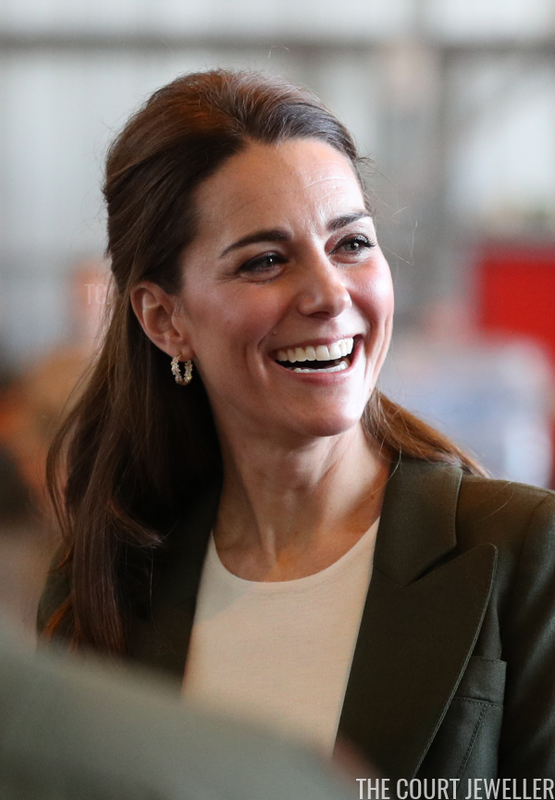 For the third time in as many weeks, Kate reached for her leafy hoop earrings from Asprey for Wednesday's official visit to RAF Akrotiri in Cyprus. 13. 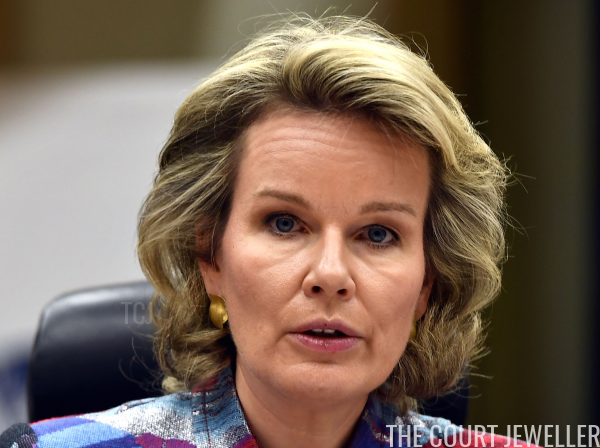 Queen Mathilde of the Belgians wore one of her signature pieces -- large gold earrings -- for Tuesday's UNESCO global education meeting in Egmont Palace. 12. 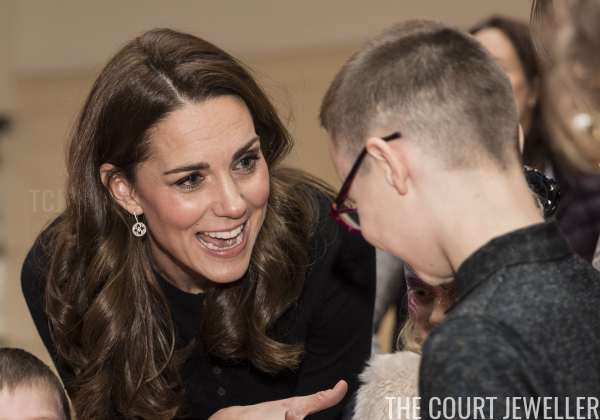 For a visit to an exhibition at the Reina Sofia Museum in Madrid on Monday, Queen Letizia of Spain wore her diamond feather climber earrings. 11. 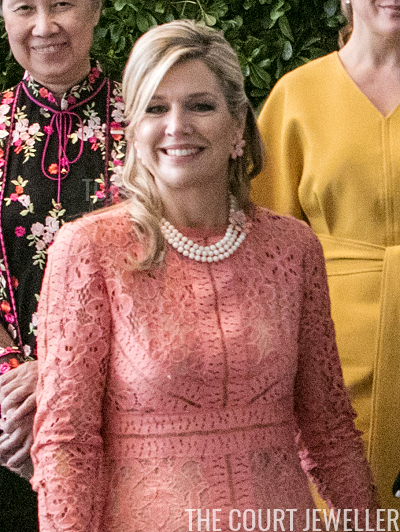 On Friday, cameras caught Queen Maxima of the Netherlands wearing her shell earrings in Buenos Aires, where she attended various events during the G20 Leaders' Summit. 10. For an official visit to the Latin American Museum of Arts in Buenos Aires on Saturday, Maxima wore her suite of coral flower jewels. 9. 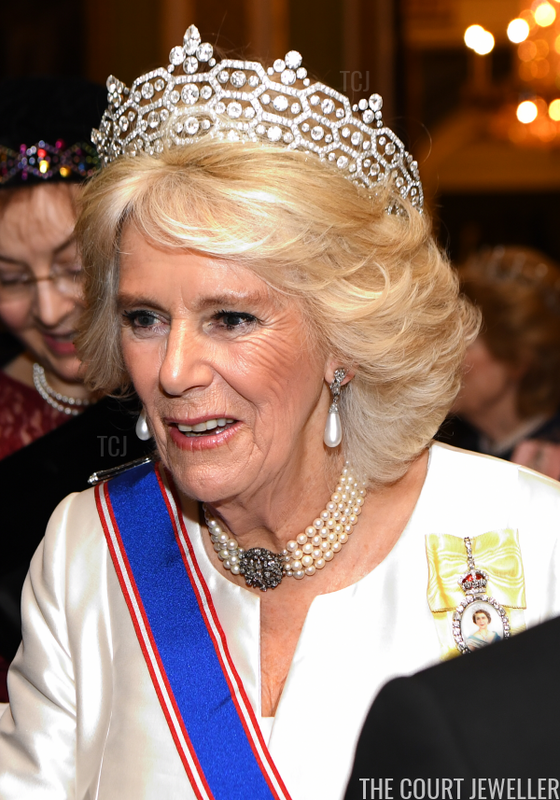 The Duchess of Cornwall wore her pearl necklace with the amethyst and diamond clasp on Wednesday in London, where she attended the annual ICAP Charity Day. 8. Here's a new face for the blog! 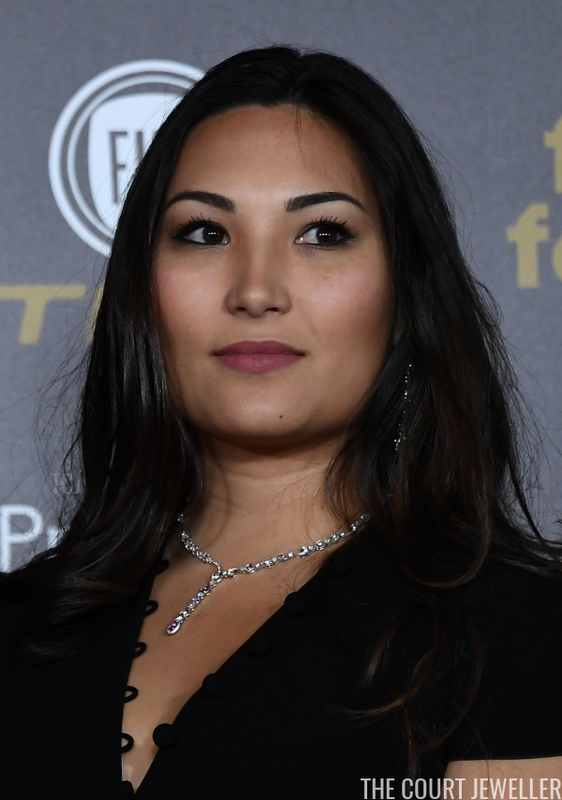 Marie Chevallier, the lovely fiancee of Louis Ducruet (son of Princess Stephanie of Monaco), wore a matching necklace and earring set on Monday for the 2018 Ballon d'Or presentation in Paris. 7. 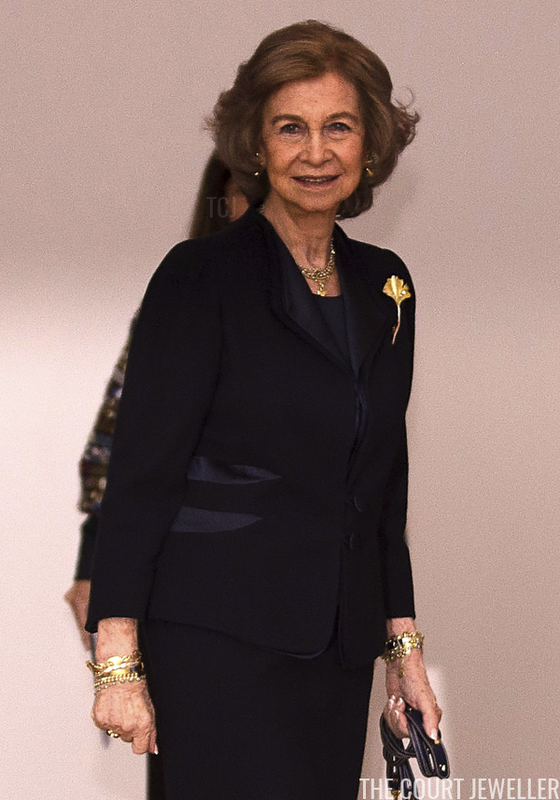 Queen Sofia of Spain piled on golden jewels, including a ginkgo brooch, to inaugurate an exhibition at the Caixa Forum in Madrid on Tuesday. 6. 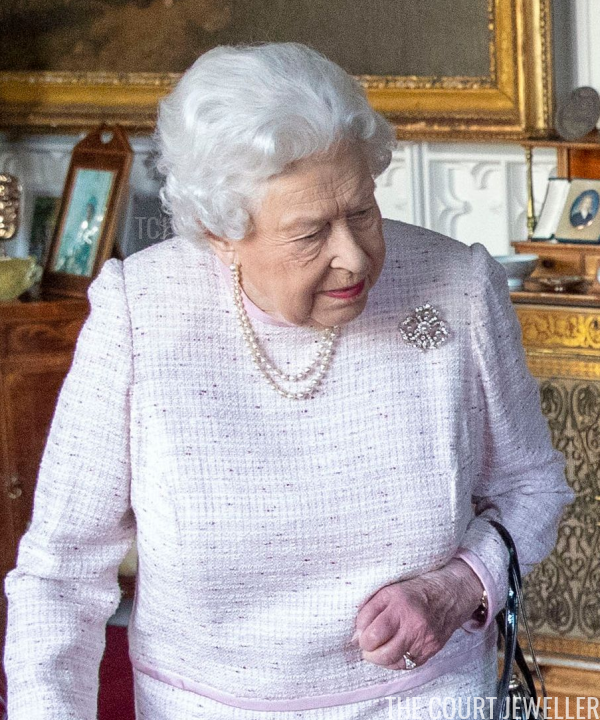 On Friday at Windsor Castle, Queen Elizabeth II of the United Kingdom chose her Pearl Trefoil Brooch for the unveiling of a new portrait of her painted by Stuart Brown. 5. 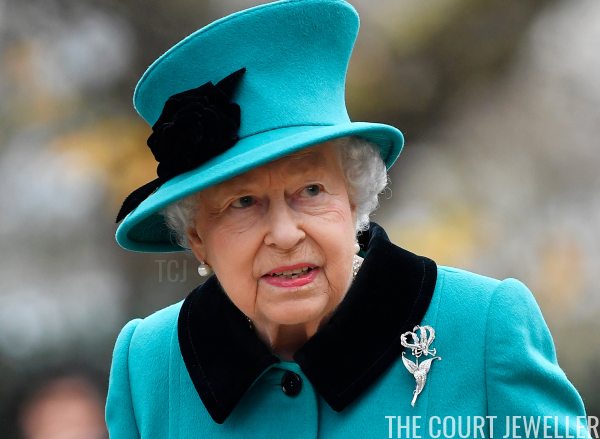 The regal Flame Lily Brooch was HM's accessory of choice for the opening of the Queen Elizabeth II Centre at CORAM in London on Wednesday. 4. 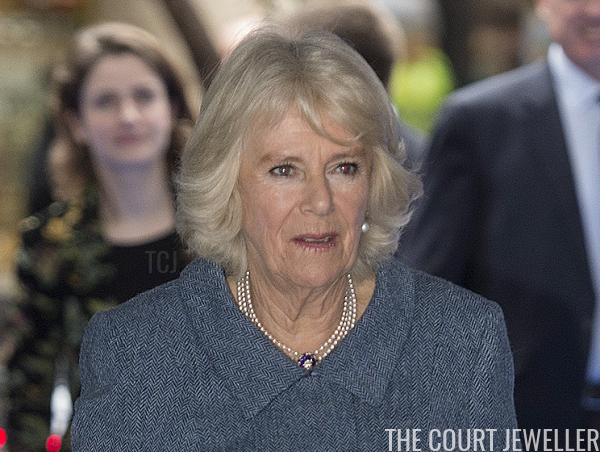 Lovely drop earrings set with blue gems (tanzanites, perhaps?) 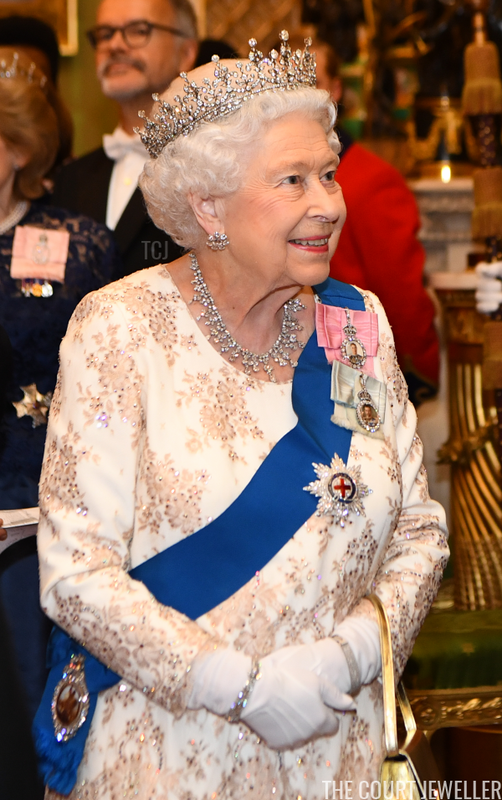 were Letizia's accessory of choice for a concert commemorating the 40th anniversary of the Spanish Constitution in Madrid on Wednesday.